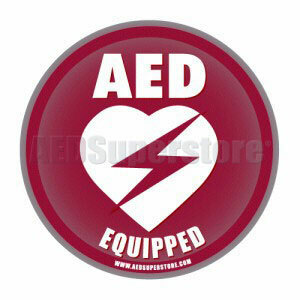 Decal is ideal for letting the public know of the presence of an AED on premises. Let others know there is an Automated External Defibrillator on the premises. These high quality decals are printed on both sides; printing on the adhesive side allows decal placement on the inside of a building's glass entrance to be viewed from the outside, while the printing on the reverse side allows for viewing when placed on any flat surface.